At the risk of adding to all the end of year clutter, I am hoping to do a few posts over the coming weeks covering some of my highlights from 2013. And ideally, this might presage a more active blog in 2014. Well, lets see. First up, I wanted to do a post about an artist who I deeply respect admire, and I feel had an especially impressive year: Atom TM. “HD” was undoubtedly one of the standout releases of 2013: a perfectly balanced album that retained Raster Noton’s preference for high fidelity production while infusing some much needed funk and humour into the equation. Atom carefully crafted an incredibly rich and rewarding album, one that you could appreciate in terms of music production, while also enjoy on a very basic level because it was so incredibly fun. Techno does not get much better than “Riding the Void” or “Ich Bin Meine Maschine”. And when this was translated into a live setting at Labyrinth the results were quite simply stunning. 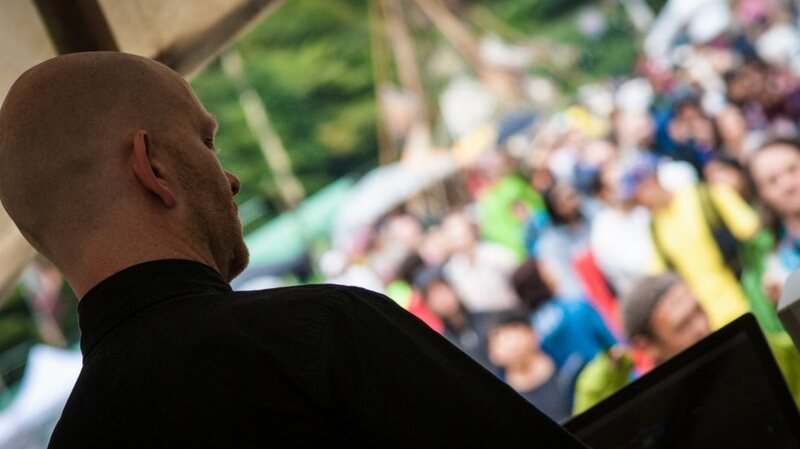 Later in the day, he returned to the stage with Tobias to deliver an amazing set of live analog techno. Across their set Atom and Tobias demonstrated a mastery of their craft I have rarely seen, a performance which showed a level of understanding that only comes through years of dedication and work. This was a true pleasure and joy to witness. Atom’s experience was again on display in his version of Factory Aire’s “B.O.Y.”, one of my favourite remixes of the year. His version is hardly an overhaul, he just takes the elements he was given, rearranges and tweaks it, so that instead of a mediocre track you now have an acid house killer. That’s how you do a remix. And Atom showed his full range by also providing a nuanced and beautiful reworking of Wagner. Add in the the first re-issues as part of Atom TM’s audio archive, covering early EBM influenced works, deep space ambient, and acid techno, and all up it’s been a pretty busy and successful year for the man. In a year when too often “good enough” has been accepted as “good” or “great”, it is refreshing to have people like Atom TM demonstrate what is possible through dedication and working to develop a true mastery of their craft. Regardless of what line of work you are in, this is something you can take some inspiration from. And as an added bonus, it happens to be super fun music. Thanks Atom.